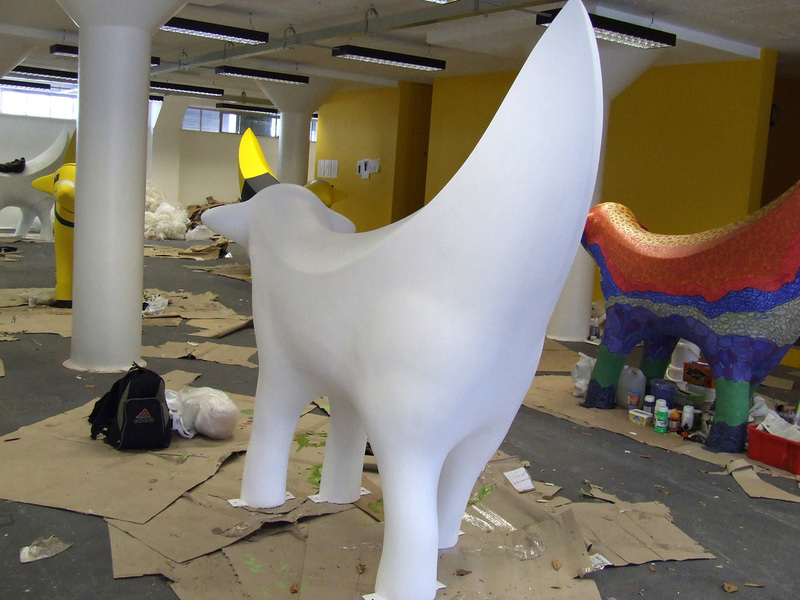 As part of Liverpool's year as European Capital of Culture in 2008, I was one of several artists and community groups commissioned to design and paint one of 125 SuperLambBanana's which would adorn the streets of Liverpool for ten weeks during the year. 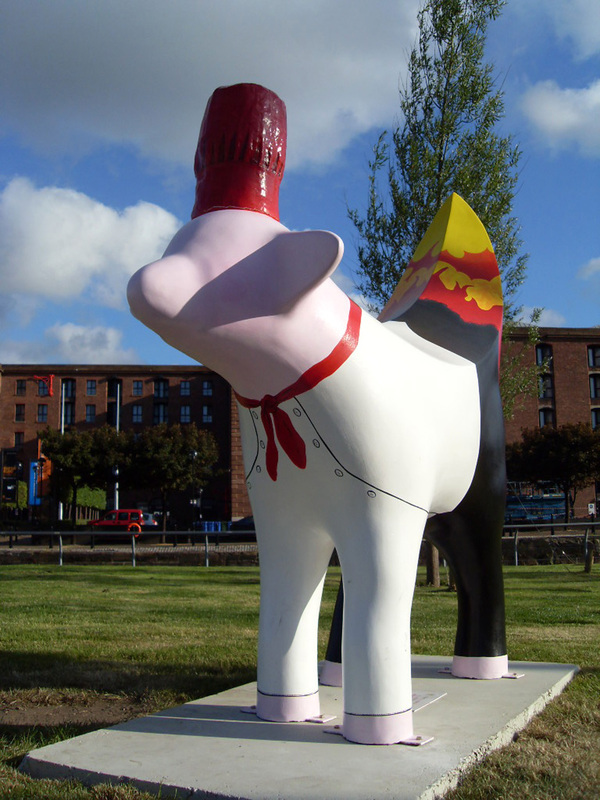 Based on Taro Chiezo's iconic 17 foot tall SuperLambBanana which first appeared in Liverpool in 1998, these smaller versions formed a trail throughout the city and beyond. 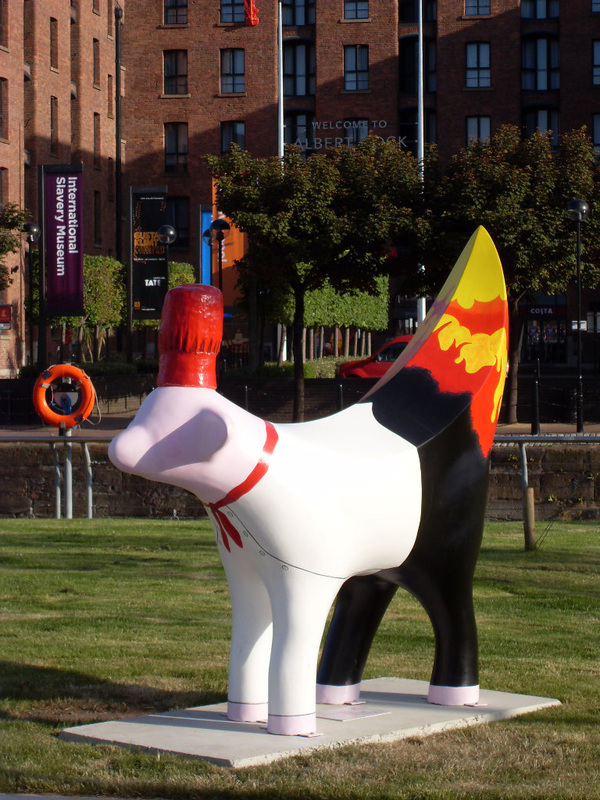 The Sapporo Teppanyaki sponsored mine and it can still be seen in the courtyard outside the restaurant, in Duke Street, Liverpool. 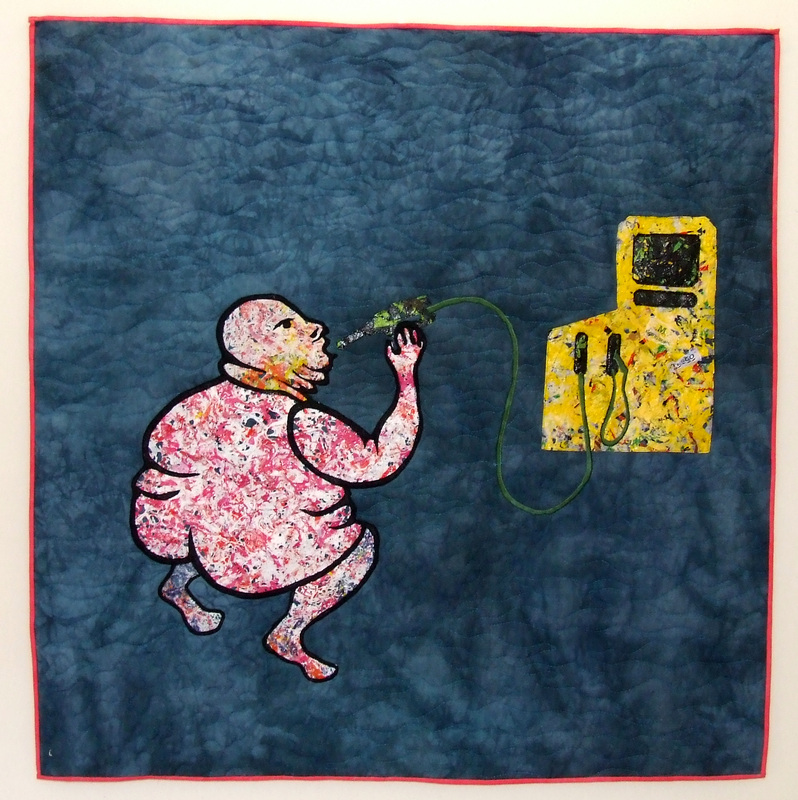 A call to artists was made in 2007/8 was made to crochet, knit, stitch, quilt or patch a three foot square panel. 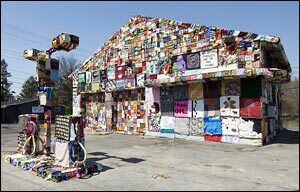 The topic to be represented was your countries extreme dependence on oil for energy. 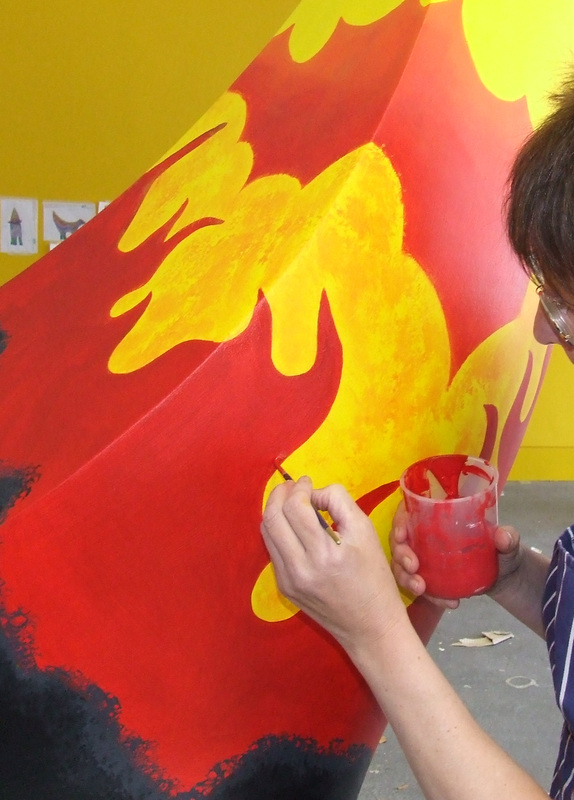 My panel used melted plastic shopping bags for the imagery. 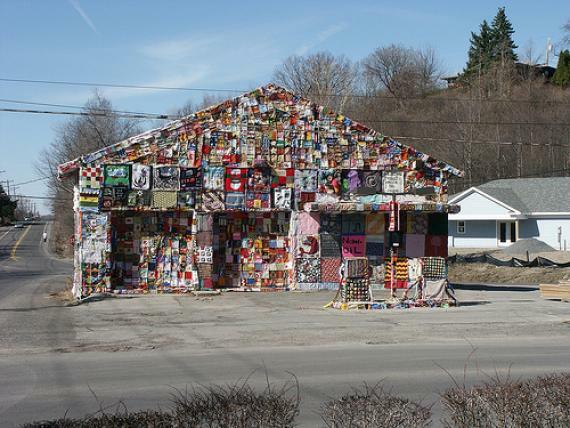 All the panels were stitched together and used to wrap a disused gas station in Syracuse, New York.